Summer has almost arrived and so the bikers are out and about, and we need to watch out for the people who are not watching out for us. Texting, cell phones, kids and pets in cars and lack of attention while driving explains some of the vehicle and motorcycle collisions. This means that we as bikers must be extra vigilant in riding — watching out for others to make mistakes that can cause us harm. Over half of all fatal motorcycle crashes involve another vehicle. Most motorcyclists are not skilled in emergency maneuvers as more than 13 percent involved in fatal crashes made no effort to avoid collision. They didn’t brake pr swerve, they just rode into a collision. That is because they don’t practice those maneuvers regularly or even at all. Motorcycle safety classes and schooling is so important to helping riders survive the joy of riding. – Motorcycles make up about 3 percent of the normal traffic flow. – People see things like cars and trucks but motorcycles are much harder to see because they have a narrow profile that easily gets lost in backgrounds outside a car (bushes, fences, bridges, a car’s blind spot), and that’s even with headlight on. – Motorcycles may look farther away because of its size, making it difficult to judge its speed. When checking traffic to turn at an intersection or into or out of a driveway, predict a motorcycle is closer than it looks to help avoid an accident. – When a motorcyclist is slowing they are downshifting or merely roiling off the throttle, which does not activate the brake light. That is why vehicles need a following distance of 3 to 4 seconds. – Many people don’t realize that motorcyclists adjust lane position for a purpose to help being seen, passing vehicles and wind, avoiding debris and holes in the road. Not to be showing off, or reckless or not allow cars to share the lane with them. – Most of the turn signals on a motorcycle are not self-cancelling and so especially for beginners or the early part of riding season, we sometimes forget to turn them off making lane change or turns. – Stopping distance for motorcyclists is nearly the same as cars, but slippery pavement makes it more difficult so allow more distance behind the motorcycle because we don’t stop on a dime. – Some of the motorycles have loud exhaust system that not only helps with the running of the bike but with extra attention with just a little more noise. – Some bikers use additional lights as accessories, which helps at night to be seen. But no matter if you have the right-of-way, you still need to watch out for the other vehicle that may not see you even when they look your way. – Clothing can help with extra bright safety vests with reflective tape and some of todays modern coats, jackets and rain suits have reflective tape giving you the advantage of being seen. – You may see a biker with leathers and keflon riding gear and it’s for their safety should they go down. Road rash has been known to kill as it can get infection doing what bikers call concrete body surfing. – Bikers should carry some form of medical information on your person or bike listing emergency contact person, allergies and medications. Some bikers with more room carry first aid kits. When a motorcycle is in motion, see more than a motorcycle — see the person riding the bike as it is someone’s relative, neighbor or friend. Safety is for life. 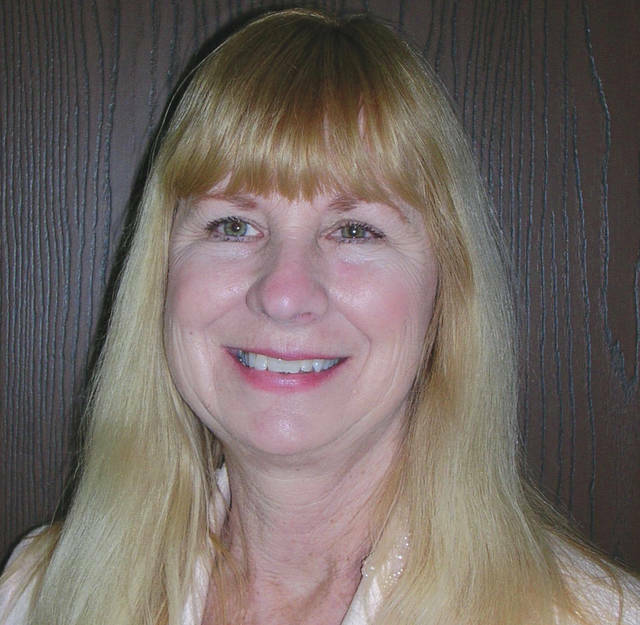 JoAnn Collins is guest columnist for the Fairborn Daily Herald.